« Welcome To Road America! I’m not sure I’ve ever spent a bad day at a race track, but throw Road America into the mix and a good day seems almost guaranteed. Counting last year’s weekend we spent here, this is the fourth day we’ve spent at this track. 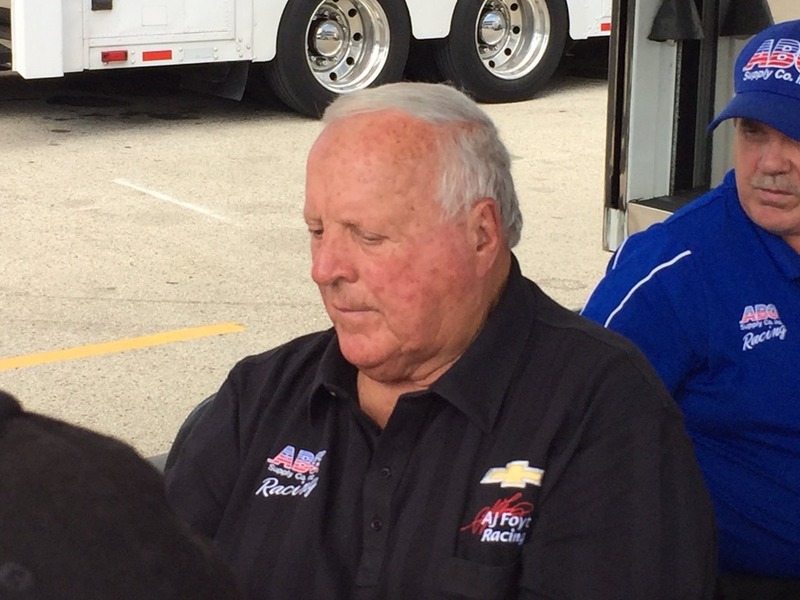 I’ve never seen days go by as quickly as they do at Road America. We got here around 10:00 this morning. As I type it is almost 6:00. Those eight hours absolutely flew by. It seems like we just got here and it’s already time to go. We’ll have to get here earlier tomorrow to maximize our time. 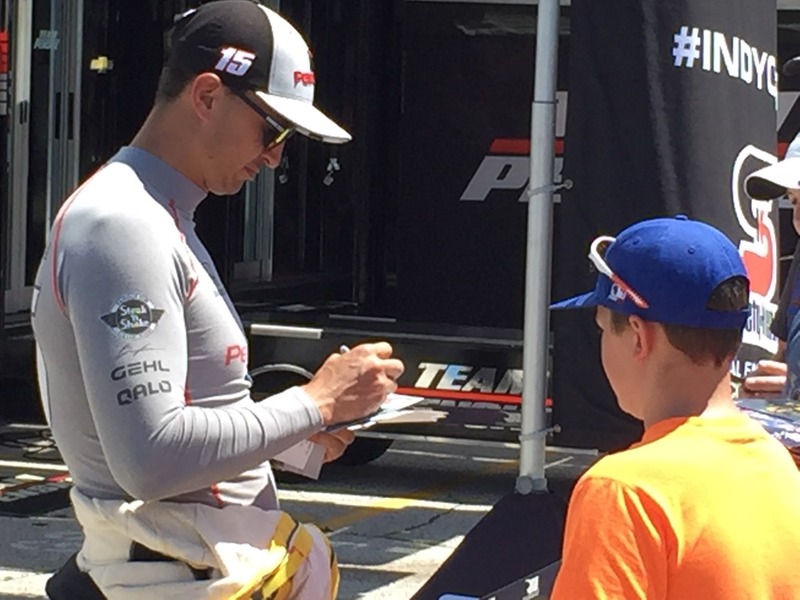 The second practice of the day was interesting as it ended up being dominated by Team Penske. I agreed with those that said that Honda would have an advantage at this track and they still might, but the four Chevys of Team Penske ended up at the top of the speed chart. Interesting enough, three of the remaining four Chevys were at the bottom of the speed chart in eighteenth, nineteenth and twenty-first position. 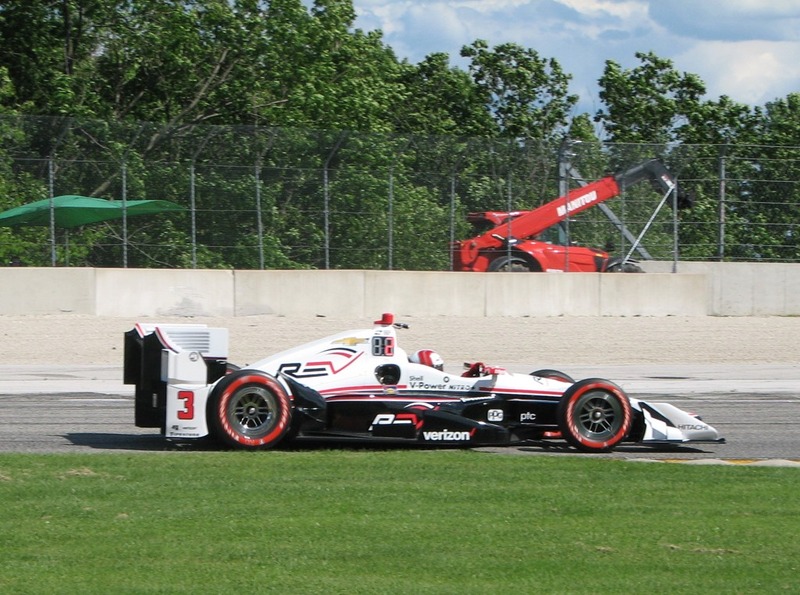 Spencer Pigot was the only non-Penske Chevy that was not at the bottom – he was twelfth. 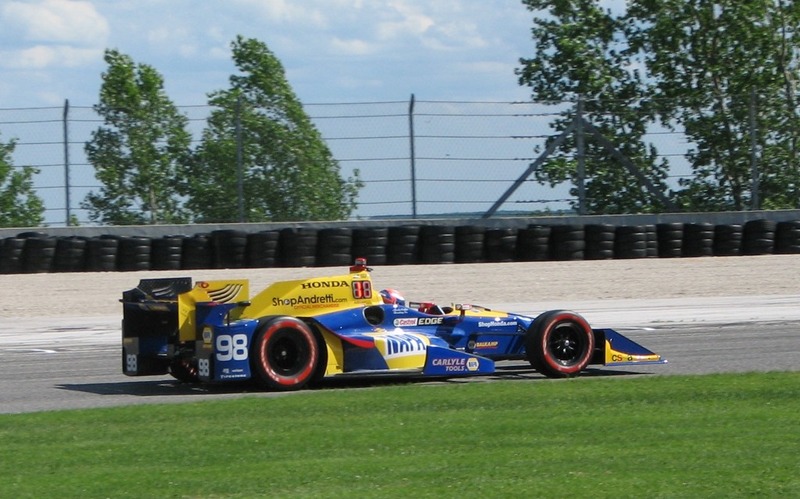 Nashville native Josef Newgarden turned the fastest lap of the day with a time of 1:42.8229; which computes to be a la of 140.537 mph. 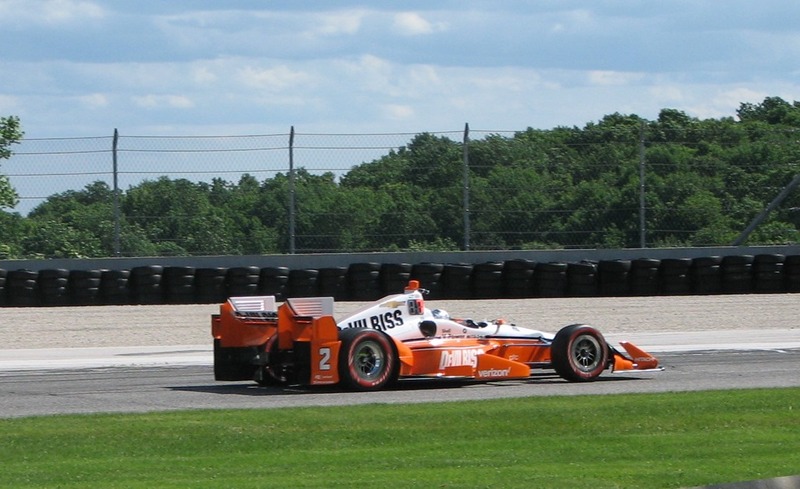 He was closely followed by his Penske teammate Will Power. 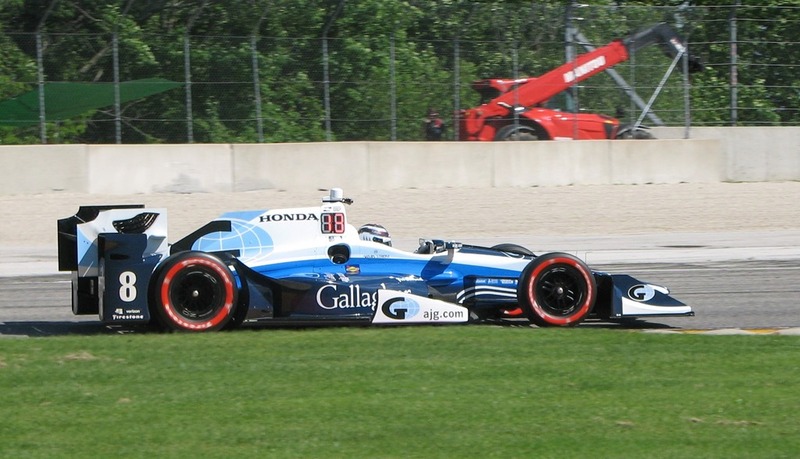 Penske drivers Simon Pagenaud and Helio Castroneves posted the third and fourth fastest times, respectively. If you followed me or Susan on Twitter today, you would have seen a lot of photos and videos that we both posted. There will be more of the same tomorrow. You can follow me on Twitter at @Oilpressureblog or Susan at @MrsOilpressure. Here are a few photos taken by Susan today in Turn One. She’s a better photographer than I am. 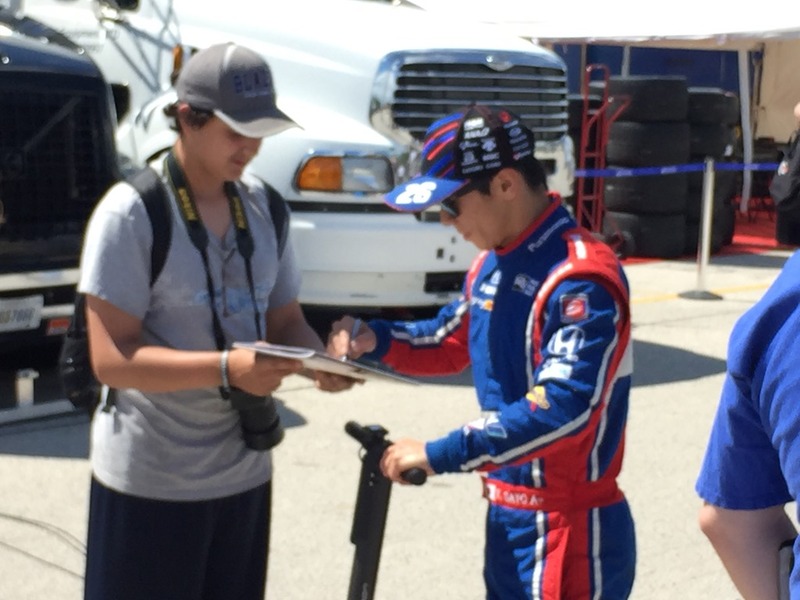 I caught AJ Foyt, Graham Rahal and Indianapolis 500 winner Takuma Sato signing autographs just before practice. 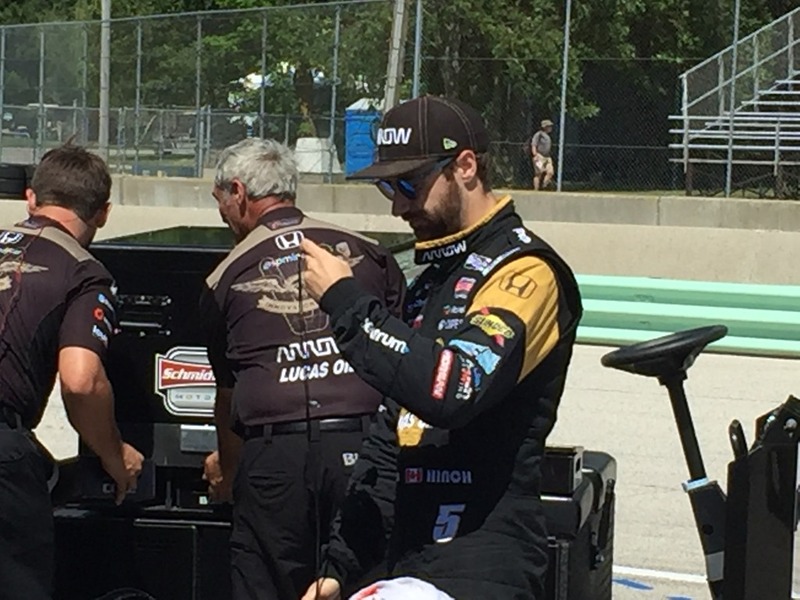 James Hinchcliffe was trying to sort out a pair of tangled headphones before climbing into the cockpit. I also noticed that Ed Jones is wearing a Chicago Bears helmet this weekend, here in the heart of Packer country. That might raise a few eyebrows with the locals. That’s going to do it for us today. We are packing up to go and enjoy a local tradition here – a Friday Night Fish Fry. We’ll be back here early in the morning, so check here early. Thanks for following along today. This entry was posted on June 23, 2017 at 6:19 pm and is filed under IndyCar. You can follow any responses to this entry through the RSS 2.0 feed. You can leave a response, or trackback from your own site. The story behind Ed Jones’ Bears helmet is pretty cool. 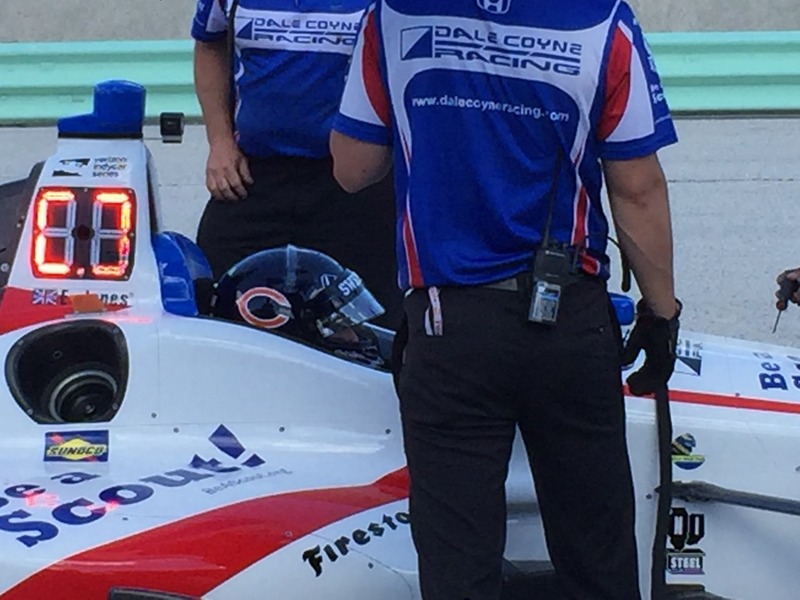 It is to honor former Coyne Racing co-owner Walter Payton, who Ed only learned about when he first joined Coyne. Apparently Dale was both surprised and delighted. It’s my understanding that you can go to Menard’s thru Saturday June 24 and get a ticket for 55:00 for race day vs 80 at the gate. Ran into Dale Coyne getting a brat at the stand near the pits,what a guy always has a smile.Wished him well and asked how Seabass was doing, he said he visited him at St Pete’s on Tuesday and said he’s doing well and coming along fine. Saw Dixon walking with a bad limp almost a month after Indy.One tough guy. It was a beautiful summer day as George and Susan were either going for a brat or the start of the 1st pratice session but that boy was on a mission.